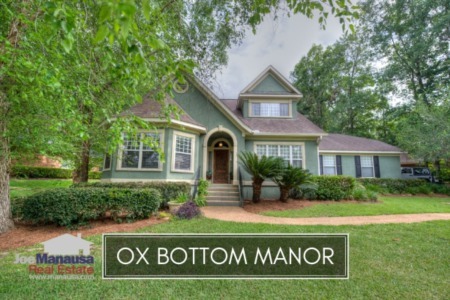 Ox Bottom Manor is in the heart of the 32312 zip code, which includes many neighborhoods that are in high demand due to the school zones and amenities in this region of Tallahassee. This neighborhood is having a great year for home sales, and it is likely to be the best on record going back to 2004. As a reminder, if you live in one of the many Ox Bottom Neighborhoods, you can follow save this link to a page that always maintains the most up-to-date listings and closed home sales for all of the Ox Bottom communities. Ox Bottom Manor commenced home construction in the late 1980s and has been building them through today, though most homes were built prior to the housing market expansion which begain around 2003. Ox Bottom Manor has a wide selection of homes from which to choose, and the varying degree of modernization and improvements creates an even greater range of opportunities for buyers with free time on their hands. It is important to note that the narrative contained below is for sales through December for all previous years, but through mid October in 2015. The graphs and the closed sales table will be continuously updated into the future (meaning bookmark this page if you always want to know the current status of homes in the Ox Bottom Manor). Average home prices have fallen 7% this year when compared to the average last year, which means that buyers are able to purchase homes here at prices that are 25% below the peak of the market prices established in 2006. 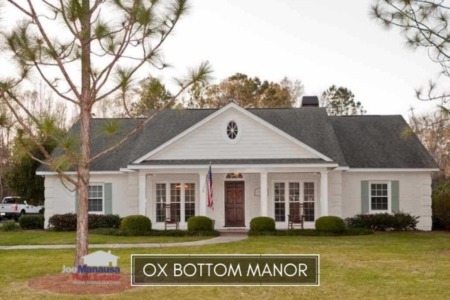 The average recorded sales price is $312,500 for Ox Bottom Manor thus far in 2015. Home sales activity this year is the best we've recorded in more than ten years. This is wonderful news for Ox Bottom Manor homeowners who have been waiting to move. This pace is still slower than pace that was recorded in the 1990s, so expect to see more sellers come out of the wood work in the near future. Thus far in 2015, there have been 39 closed home sales in Ox Bottom Manor. Average home values in Ox Bottom Manor have fallen roughly 5% this year, and and are now 23% lower than what we recorded during the peak of the market in 2006. Through mid October of 2015, the average value of a home sold in Ox Bottom Manor has been $122 per square foot. This is only up 3% over the bottom reached in 2012, meaning today's buyers can buy a home in Ox Bottom Manor at values very near the bottom of the market. Buy a home here today and ten years from now you will look back at your decision as a very wise decision. The fact that home values are struggling in Ox Bottom Manor is not too surprising, as this is the price range here is one that is on the border of a balanced market and one that is still over-supplied. If Ox Bottom Manor can post another strong year in 2016, we very well might see home values begin to rise and establish the start of a new long-term trend. The average home size sold in Ox Bottom Manor typically falls in a range of 2,300 to 2,700 square feet, and this year buyers have been selecting homes pretty much in the middle of this range. The 39 sales thus far in 2015 have averaged 2,571 square feet. I hope you have enjoyed our October 2015 edition of the Ox Bottom Manor Housing Report. Please check back to this article to see updates on both the graphs and the table of homes that have sold. Please feel free to drop me a note if you have questions not covered in this report.